The next installment of Star Wars saga has graced our screens, and I’d heard favourable comparisons to the most acclaimed film of the saga, The Empire Strikes Back. Is this comparison merited? And how does Disney’s second Star Wars effort measure up to 2015’s The Force Awakens? Rogue One is a very different film to The Force Awakens so it’s as simple as saying one film is better than the other. 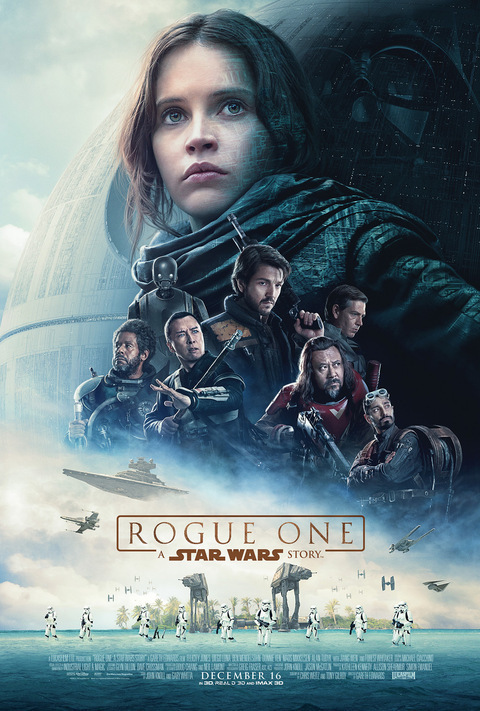 Rogue One is a dirty, gritty take on the fight between the Rebel Alliance and the Empire, that paints the Rebels – some of them at least – as ruthless and cold as any agent of the Empire. The battles are brutal, depicting warfare in a manner never before seen in a Star Wars movie. The characters are less inclined to quip witty remarks and whilst there is a little comic relief, it’s not as prevalent as in other films. I dare say this is the most realistic of the Star Wars films so far, in terms of both the action and the behaviour of the characters. As is to be expected, the CGI work for the ships and battles is incredible, and there is the appearance of a classic character (not Vader) that definitely triggers nostalgia. There is poignancy too, given the connection to A New Hope and the tragic passing of Carrie Fisher. Vader’s cameo is exactly that, a cameo, but it reaffirms his status as a badass. I thoroughly enjoyed this film. 9/10. All very interesting, but what does this have to do with my film review?